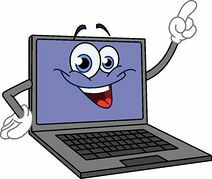 We meet at the LFHHS Chorley Research Centre on the 3rd Monday of each month at 7.30pm to chat about all things to do with Computers in Family History. The Club is ideal for Computer beginners as well as the more experienced. We swap ideas, ask questions. There is no 'lesson plan', no preparation needed, our members just turn up and share!!! ​Contact Steve on 01257 262028 or steve.williams24 @ aol.com for further details.